Developing an app for your business is a big and critical investment, whether it is a Small and Medium Enterprise (SME) or a Multi-National Company (MNC). Despite the high stakes involved in developing an app, businesses might jump onto the mobile application bandwagon without thinking about the consequences of taking this huge leap. The results are not so pretty. Even if they have a beautiful, functionally impeccable app, they are barely able to generate revenue. Businesses, in their attempt to maximize their profits, employ all the possible revenue models for their apps but fail to successfully utilize any of the models. 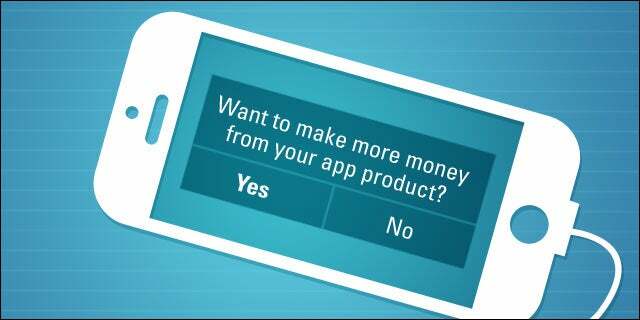 As a result, marketing and advertisements of their apps incur more losses than profits. It’s not uncommon to see these business owners complain about the loss of investment and lose faith in app development, refusing to devote any more resources to it. Get these 4 things right and make the best of the resources available in generating revenue from your app. It is common knowledge among app developers to convey important information to app users using the evergreen Push notifications. Email and message apps have already figured this out, so why do most other app designers see this topic as a grey area? It is because of toughened stances by Apple, Google and Microsoft on the use of push notifications by developers for advertising and promotion on their stores. So, it has become difficult for app developers to send out casual push notifications just to make the users aware of the app. While sending out annoying, promotion-oriented notifications can get your app kicked out of the app stores, there are certain alternatives through which you can send out these notifications to improve the user-experience and also get a virtual nod from the strict mobile app stores. The first alternative is to provide a way for the users to integrate their app account with their social media profiles (Facebook, Instagram, Snapchat, Twitter etc.) or their contact list. The second way to do it is to enable geo-tagging and geo-location features in the app. Implementing these two small changes will enable the users to interact with others via the app. And, the best thing is, these features can be added to any app and made to work to its advantage. Using the aforementioned features, it is possible to send out push notifications to the app users notifying them of the activity of their social media friends, anyone on their contact list, or someone nearby. It would also make it possible for the users to share their app activities or progress on social media with their friends. When this social media and geo-feature integration into the app is made seamless, it would itself serve as a promotion for the app with new users downloading the app and using the app at the behest of their friends and people nearby. These push notifications serve the purpose of reactivating the latent app on users’ smartphones without violating the app store guidelines. In the process, it provides a new spin on the existing app features all the while making the app more valuable. Thus, using these neat features, you not only manage to push the visibility of the app among the existing users, but you also encourage non-users to download this app and ultimately experience real user growth. Although advertising, in-app purchases, upgrades, and paid downloads generate the most revenue for a game app, the success of these campaigns is largely reliant on other critical factors. The critical success factors for a game app are the Game Story and Hotspots. But, these elements are not just limited to game apps; other apps can also imbibe important elements from this and incorporate it in their own apps to make it an engaging and complete experience for the users. Game Story refers to the story that a game is based on. Many of the popular game apps have a backstory that then follows on to the present time. A sure-shot Game Story pattern to follow would be to have a storied history, present struggles and future glory, but it can be made more engaging by also including ‘hooks’ and ‘red herring’ in the storyline. Inculcating these must-have elements in a game ensures that the app keeps people glued and also generates regular repeat visits, all the while making the game addictive. Now, you might think, how does it even help generate from a game app, leave aside a non-game app. I would here like to throw some light on the statistics. According to Statista, game apps contribute to around 20% of the app market, and 22% of these games apps are used only once. So, what happens most of the time is that people download a game on the smartphone, don’t find it good enough, and hence discard it. Judging by these stats, it’s highly likely that your game app has also been discarded for obvious reasons. Having such unique elements which piques immense curiosity of the game users can give it a distinct edge over similar such game apps. It can also help you to pull users through word-of-mouth without actually advertising for the app. Hotspots are defined as those junctures in a gameplay where the excitement of users is at its peak. These are the junctures that users wait for, and which they are determined to negotiate. These are also the junctures when you have partial control over what the users do next and able to sway the users’ decisions. These instances should be best utilized to generate revenue by offering in-app purchases or discounts near this juncture. If these hotspots occur at the extreme end of a level in a game, and if the users fail to clear that stage, they could also be provided the option of restarting the game from scratch or paying money to go to the next stage. One of the better qualities of popular game apps is their ability to gamify an app. What this means is, whenever users accomplish something in a game, they are rewarded with different kinds of valuables like genie bottles, coins, Faberge eggs, diamonds, gold, silver, or even cold hard cash. The users can use these valuables further in the game to negate losses and advance ahead. Although this concept of gamification is unique to game apps, a similar concept can be implemented by other apps. For example a non-game app like Registry Cleaner can allow its users to earn cash for deleting a certain quantity of trash from their smartphone. This is what can be called Valufication. They can redeem this cash to unlock some hidden features which allow the users to do a customized clean up. Similarly, such value propositions can be employed by non-game apps to increase the engagement of the audience while offering them what they are looking for. Often times, people come across an app somewhere that they find interesting at first sight. They then proceed to download it and play around with it for a short while. The app resides in their phone for some time, but at some point the app gets uninstalled without getting a second glance. While there could be several arguments for such user behavior with respect to apps, the most popular argument would be that the app was no good and it could provide nothing new to the user. Well, majority of the times that’s not the case. A user downloads any app (even a free app) after receiving valid recommendations or only after a careful review. So, while downloading the app, users know for certain that the app will provide them a new feature or possibly even a new experience. And, the app is capable of providing something new of high value to them. But, it’s only that the users don’t know how to use majority of the features of that app. And, they are not to blame, since all new things come with an instruction manual for a purpose. So, a trendy new app with never-before-introduced features bites the dust because the company that developed the app didn’t make a user guide for the app. So, if you have an app with new features that the public isn’t aware of or hasn’t used before, make sure to publish a how-to guide and provide support for the parts of the app that require some adjustments, if possible on the app itself or on the app website. Support for game apps could come in the form cheat codes or hints on how to clear the stages, which could be made available on major game sites or the app website. Sush Padhye is a computer engineer and an MBA from Deakin University living in Melbourne. He is a former ping pong champion who has written quotes, poems and articles on a range of topics. He currently works as a digital strategist for an app development company. To read more of Sush’s articles, visit here .